Our youth are under attack. Please know where you are sending them for conferences/camps. 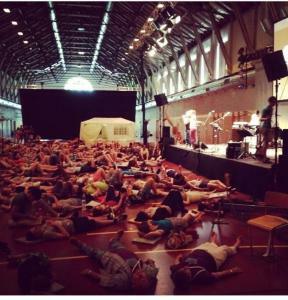 Beni Johnson “soaking” with young people in Switzerland. In this article, I will provide a definition of “soaking,” its roots, and how Bethel Redding’s engagement and promotion of the practice serve as yet more evidence that it is not the Holy Spirit at work in this cult.